“Then I saw an angel coming down from heaven, holding in his hand the key to the bottomless pit and a great chain. And he seized the dragon, that ancient serpent, who is the devil and Satan, and bound him for a thousand years” (Rev. 20:1–2). The millennium is perhaps the most fiercely debated aspect of Christian eschatology (the doctrine of last things). Orthodox believers often allow their views on this topic to separate themselves from other Christians. This is regrettable. After all, Dr. R.C. Sproul teaches, the literature in which millennial teaching is found is difficult to interpret and should caution us against dogmatism on this issue. Nevertheless, millennial views are not irrelevant, for they can affect the way we live, as we hope to demonstrate in the next two days. The millennium is the thousand-year reign of Christ described in Revelation 20. Three major interpretations have emerged on the nature of the millennial kingdom and its relation to the return of Christ: premillennialism, amillennialism, and postmillennialism. Premillennialism exists in two major varieties, and most American evangelicals today probably affirm some kind of Dispensational Premillennialism. 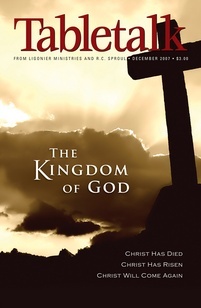 As popularized by men like Hal Lindsey and Tim LaHaye, dispensational premillennialism teaches that evil will increase in the world and overpower the church just before Christians are taken up to heaven (the rapture) to escape seven years of persecution. Jesus will return following this tribulation to set up a kingdom based in Jerusalem for one thousand years, after which the wicked are judged and the righteous live in peace forever. But dispensational teaching is grounded in a significant distinction between Israel and the church unfounded in Scripture, making its eschatology suspect. Moreover, a pre-tribulational rapture is hard to square with the whole of Scripture, and it rests largely on a confused reading of Daniel 9. Historic Premillennialism is found among many of the early church fathers and has often reappeared since then. Like dispensationalism, this view also thinks evil will gain much strength before Christ’s return to establish His one-thousand year reign on earth. However, this form of premillennialism does not teach a secret rapture, nor does it separate the church from Israel, since the authors of the Bible clearly say all those who trust God in Christ constitute His people — whether Jew or Gentile (see especially Rom. 11:1–24). In its historic and dispensational forms, premillennialism has the advantage of reminding us of the real presence and power of the evil one. Many may fault its pessimistic understanding of the influence of the church on the world system, but we do well to take from premillennial believers their strong conviction that Satan remains ever on the prowl (1 Peter 5:8–9). Be mindful of the enemy and be on guard always against His influence.